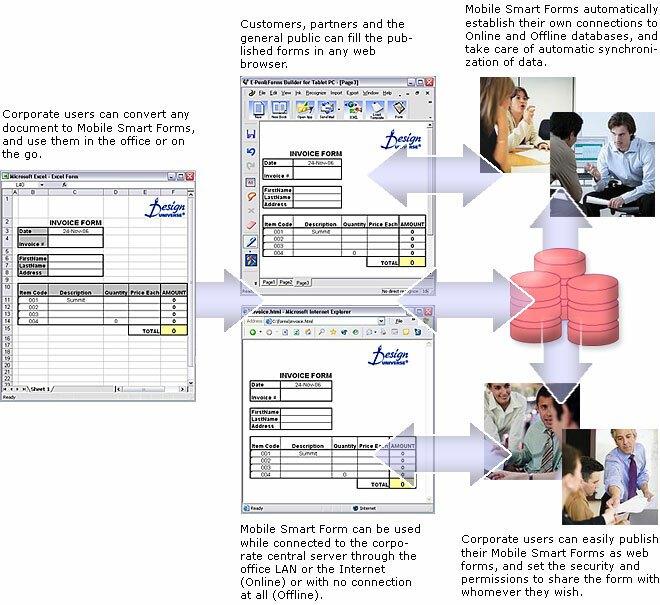 Manage, share, fill and edit your documents online using MobileSmartForm, a web based software. Your business runs on many sources of information - documents, spreadsheets, presentations, e-mails, and more. MobileSmartForm lets your employees, with no special technical knowledge, create and share database-connected forms quickly and easily. Mobile Smart Forms can connect to the customer's corporate central server, or can host their forms with Design Universe. Any size company or individuals can use Mobile Smart Forms. Synchronized Online & Offline databases means mobile users can always use their Mobile Smart Forms and their data. Organize all of your documents in one place online using a simple web browser. Fill your documents securely online. Documents can be automatically updated and filed online. All documents can be given permission-based access so only the appropriate people can view them or edit them. 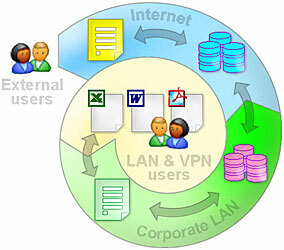 Web based software that allows secure collaborations, communication and sharing of information among multiple parties. Bottom line focus is leading more organizations to streamline operations. Also, more employees are telecommuting or working off-site. Copyright Design Universe Corporation. All Rights Reserved.